Many times I find myself deciding what type of side dish to make with dinner. With summer quickly approaching, as well as my birthday (the big THREE O), my husband and I have vowed to eat healthier and exercise more. This helps narrow our selection. Or maybe ‘narrow’ isn’t the right word. I’ve found that you can eat a lot of vegetables for not very many calories at all. I guess you could say this is a learning experience and has opened new doors for me. There are so many vegetables we’ve never tried. For instance Brussels sprouts. I know what you’re thinking….yuck! Isn’t that the vegetable that everyone despises? The one that causes kids to turn their noses up in disgust? Yes, that’s the one I’m talking about. I thought those same exact things myself. Actually, I’m not quite sure why I didn’t move onto the next recipe when I stumbled across this one. Ohhh I remember what caught my attention. One serving size of this dish is only 84 calories. I decided to give Brussels sprouts a try. Okay, I admit I wasn’t brave enough to eat them alone. 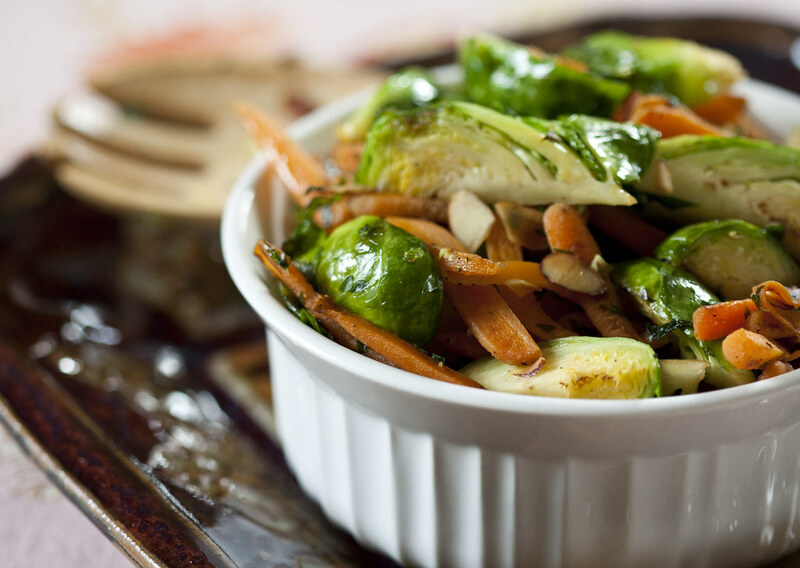 I enjoy carrots and almonds which is why I thought this recipe would be perfect for easing me into Brussels sprouts. Plus, as I searched online, I learned that Brussels sprouts offer some great health benefits. 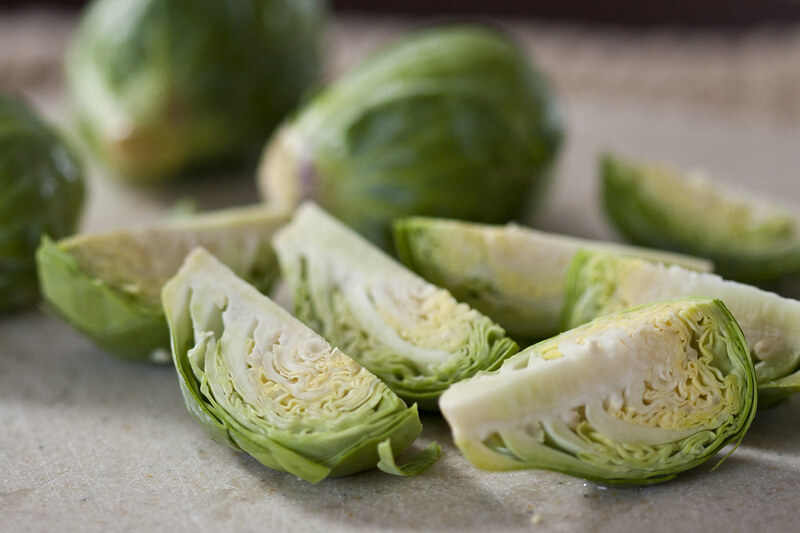 Not only do Brussels sprouts help lower cholesterol, but they also help fight against cancer and even prevent some forms of cancer. What else? They are extremely high in Vitamin K (one cup contains 273.5% of the recommended dietary allowance). They’re also a great source of Vitamin C (one cup contains over 161% of the recommended dietary allowance). With all of the above health benefits, how could we go wrong with this dish? I made it to go along with one of our favorite salmon dinners (Honey Mustard Glazed Salmon) and we were quite surprised. 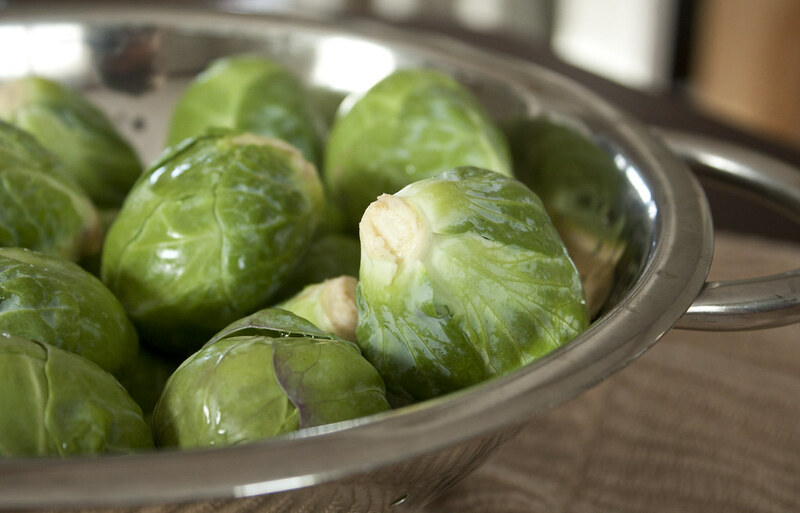 Never having experienced Brussels sprouts, we felt they tasted very similar to cooked broccoli. The carrots, almonds, and tad bit of brown sugar really pulled this side dish together by creating an ever so faint sweet taste. 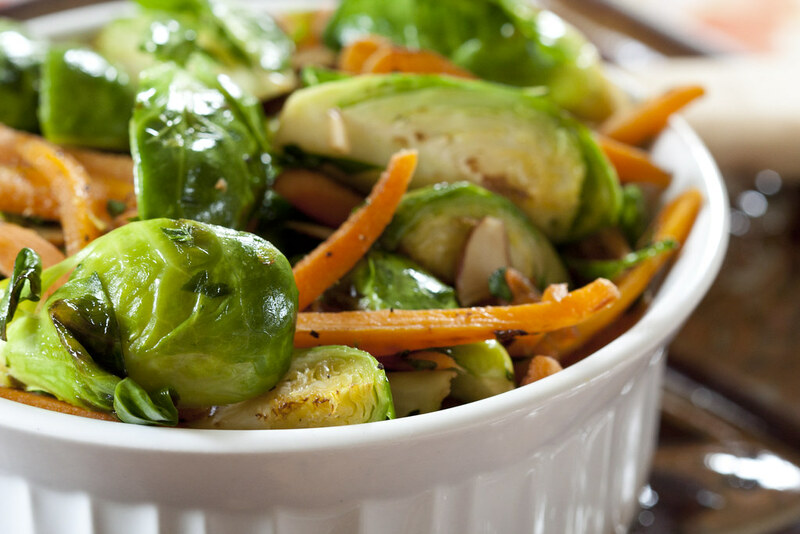 The verdict: give Brussels sprouts a try! In a large nonstick skillet melt butter over medium heat. Add carrots; sauté 4 minutes. Add Brussels sprouts; sauté 5 minutes or until crisp-tender. Add parsley, almonds, brown sugar, salt, and pepper. Stirring constantly, cook until the sugar melts (approximately 30 seconds).